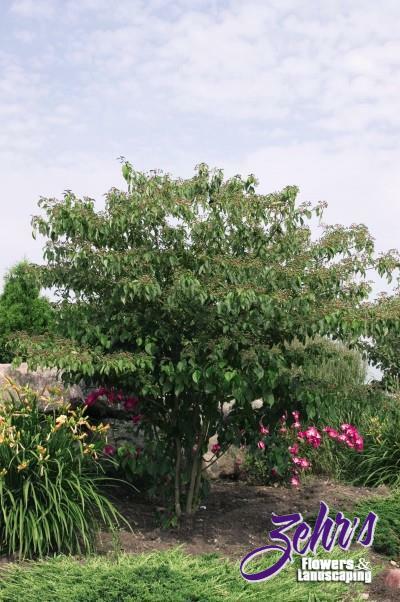 This graceful small tree has pale yellow flowers in May, followed by blue-black fruit, and the leaves turn a beautiful maroon red in the fall. Branches grow in irregular tiers, forming a somewhat horizontal, layered look to the plant. Nebraska Statewide Arboretums' GreatPlants® 2000 Winner. Pot or plant under conditions of high humidity until growth is established.